Shopping for Ant-Man Bobble Heads? Here comes Darren Cross, otherwise known as Yellowjacket, as a bobble head! 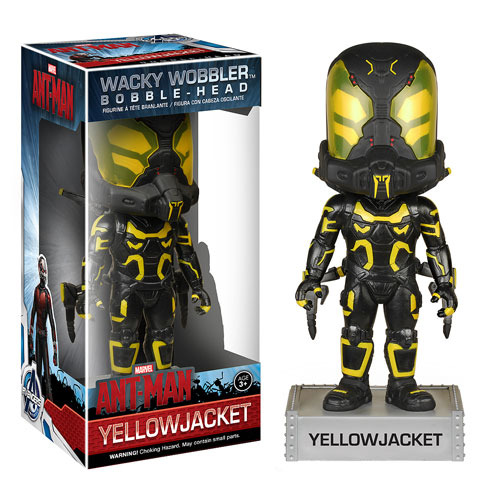 This Yellowjacket bobble head features the stylized look of actor Corey Stoll as seen in the Ant-Man movie. Yellowjacket stands 7-inches tall and comes in window box packaging. For ages 3 and up.